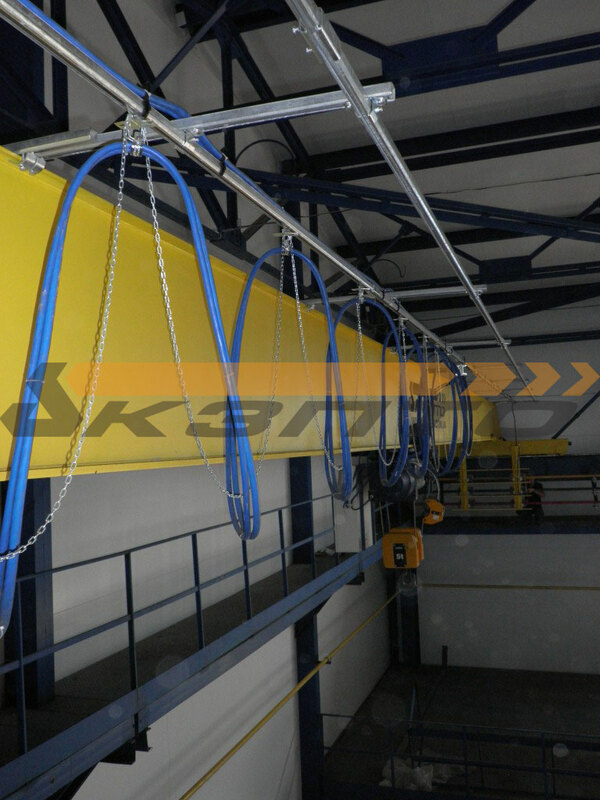 For research and production complex in the design and manufacture of pumping equipment manufactured and assembled single-girder bridge crane (overhead bridge crane) KMO-5,0-16,5-7,5 an average operation. 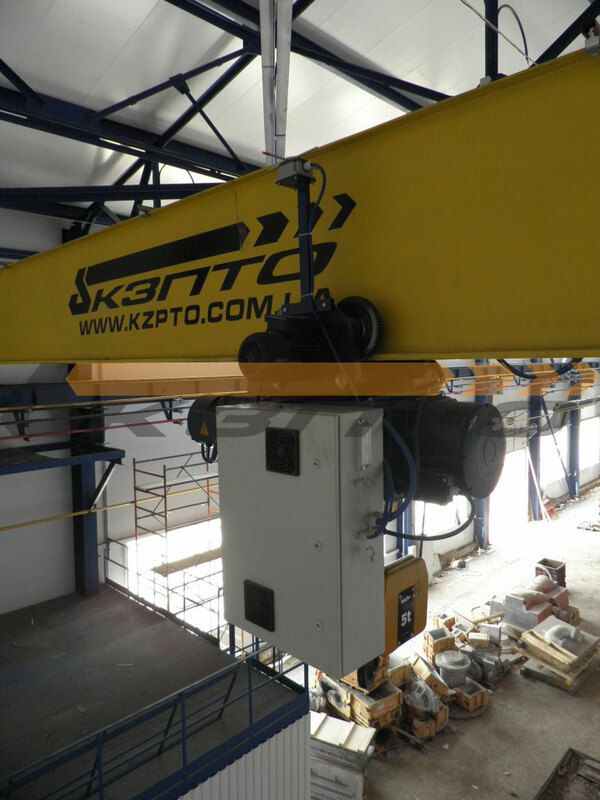 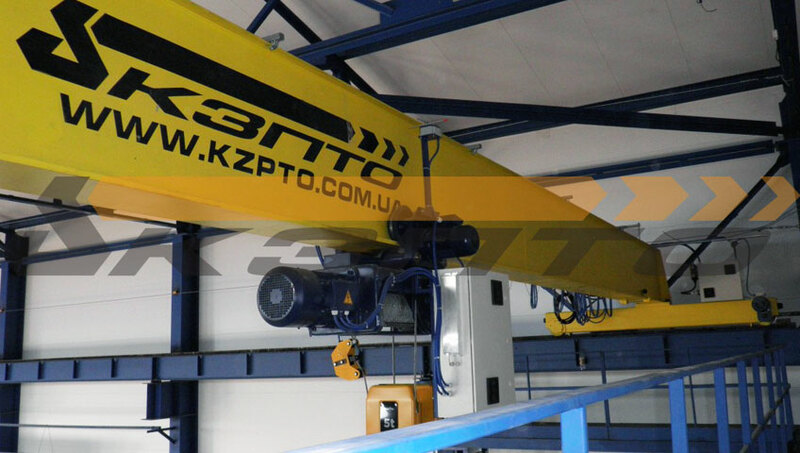 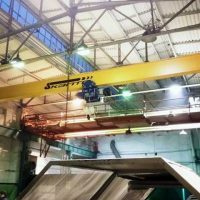 «Kyiv Crane Machinery Plant LLC» specialists studied in detail the customer's specifications, and analyzed the purpose of the crane. 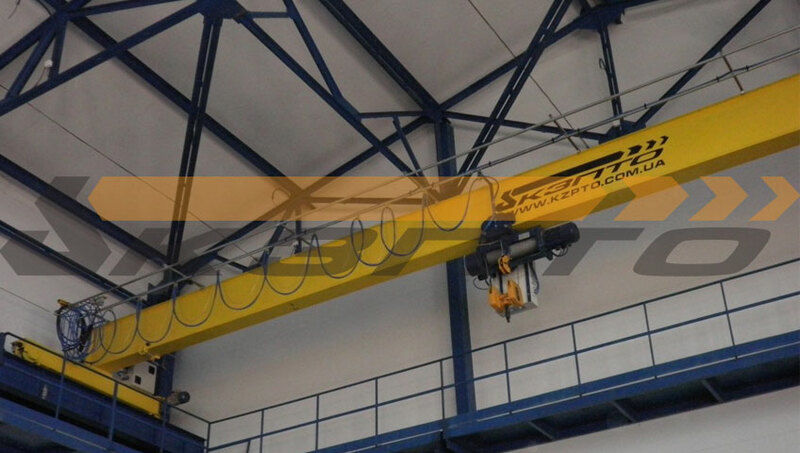 To ensure accurate load positioning and smooth acceleration, braking - the crane was provided for landing gear, movement of hoists and cranes with frequency converters and brake resistors Mitsubishi companies. 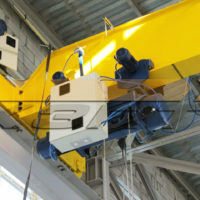 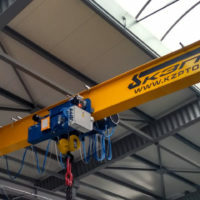 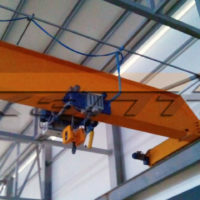 crane is operated by radio (radio control) and duplicated backup outboard remote control, operating independently of the hoist location that provides convenient and safer operation of the operator. 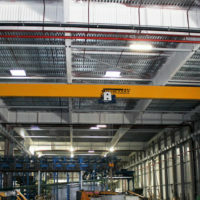 electrical equipment - «Schneider Electric», France. 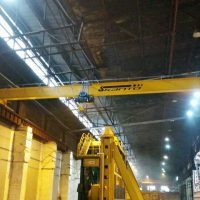 Thanks to detailed outage on the crane installation (work performance project) and high skill professionals «Kyiv Crane Machinery Plant LLC» installation and commissioning took place in the shortest possible time. 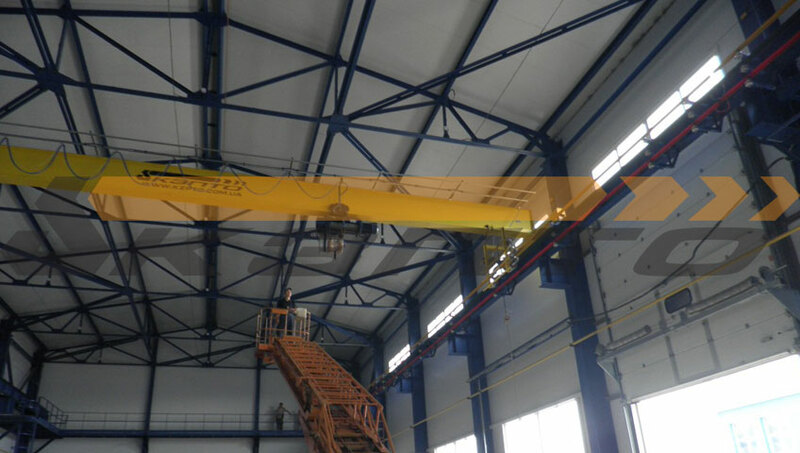 High quality equipment confirmed the static and dynamic tests, after which the crane was put into operation.